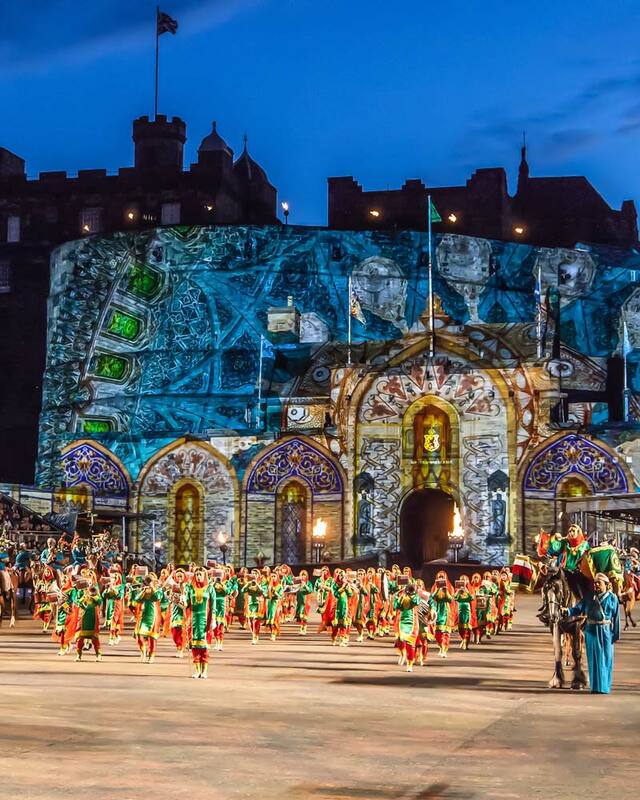 Is the Edinburgh Tattoo worth it? It's a big fat yes from me! August in Edinburgh is on a whole other level. 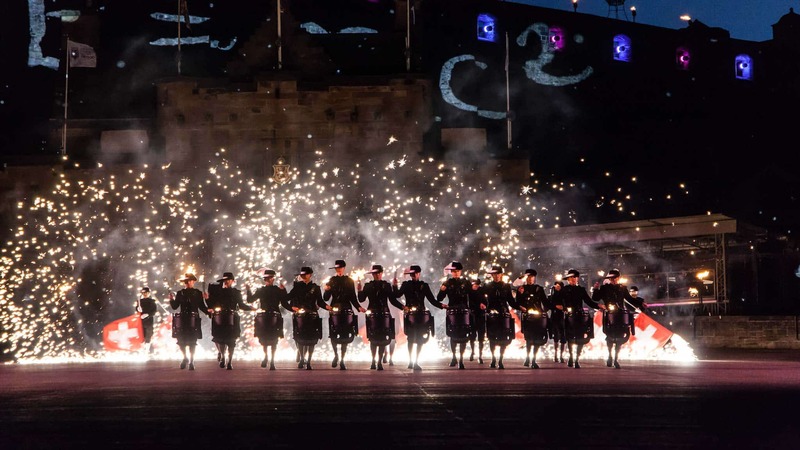 The city is the festival, and with five incredible events going on at one time it’s easy to miss-manage your time and miss some of the best bits, one of those being the Royal Edinburgh Military Tattoo. 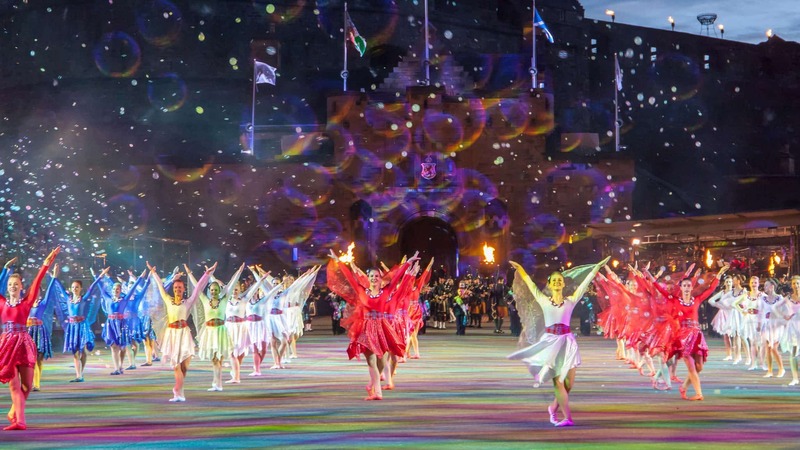 This spectacle which takes place in front of Edinburgh Castle each August has nothing to do with body-art though, it’s a worldwide cast, over one thousand strong, wowing the crowds who have been wise enough to secure tickets. 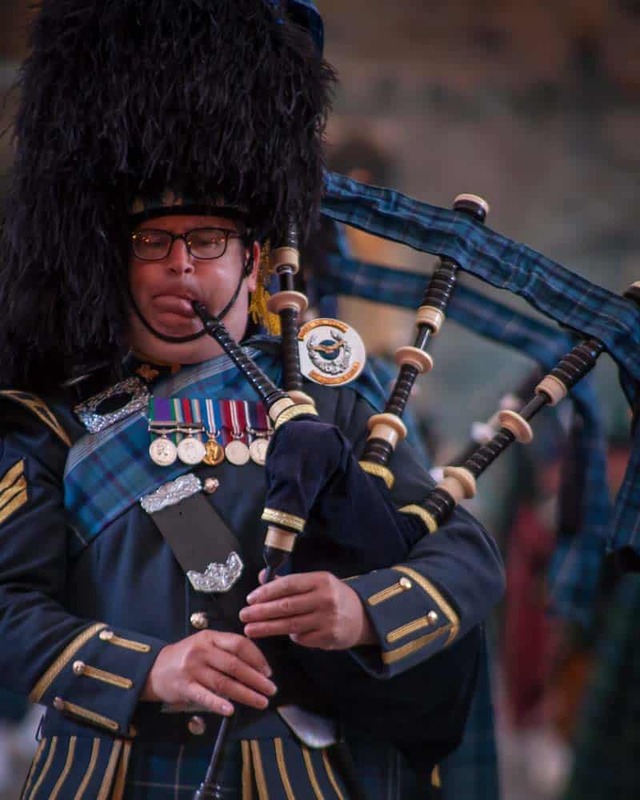 Having watched the Royal Edinburgh Military tattoo twice now, I firmly believe that any Edinburgh Festivals visit in the non-stop summer months isn’t complete without watching these military and civilian bands and performers, and here are 7 reasons to watch the Royal Edinburgh Military Tattoo. 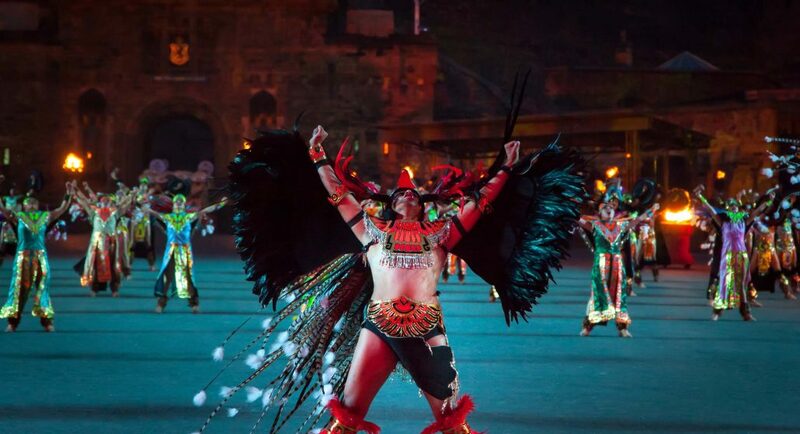 The Royal Edinburgh Military Tattoo has been wowing crowds against the backdrop of Edinburgh Castle for years, and the custom-built seating around the castle’s esplanade is impressive. Even more impressive is that come wind or rain, the show has never once been cancelled! 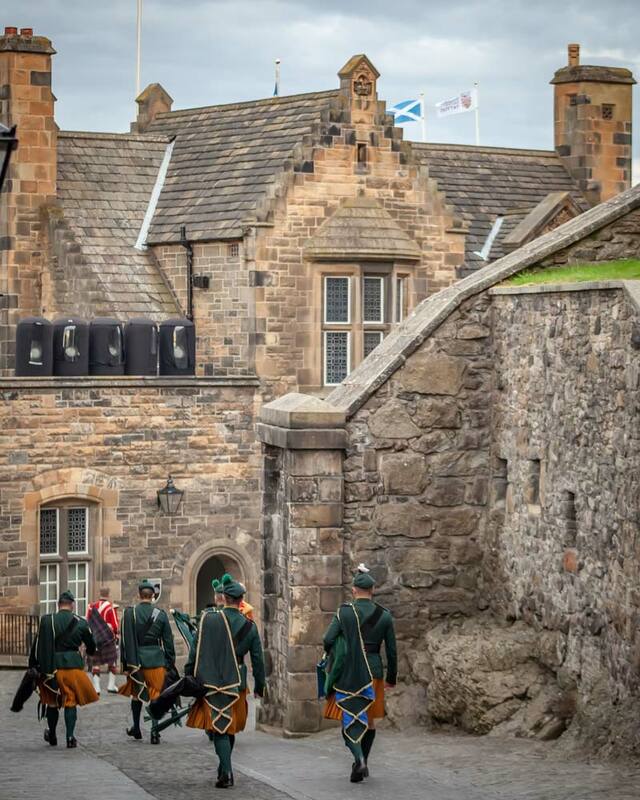 While the weather is unpredictable in Scotland, the show has always gone on, and even if the rain comes, the fantastic atmosphere and the set of the castle more than make up for it. To witness one of the cities most famous landmarks come to life in such a unique way is incredible. 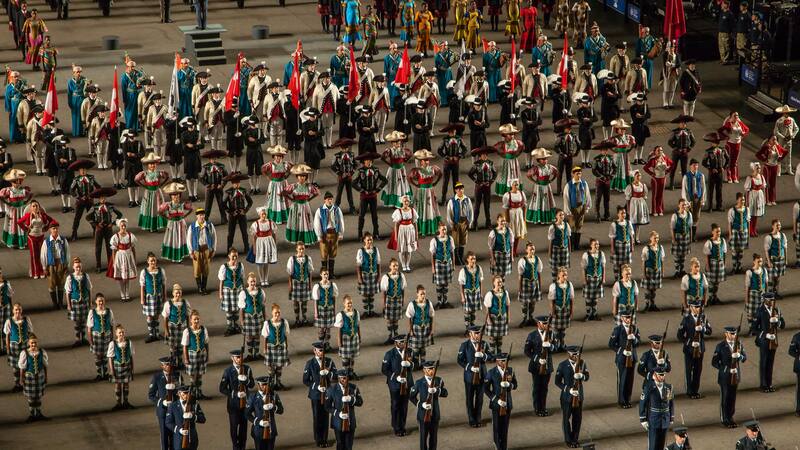 Each year the cast of the Royal Edinburgh Military Tattoo seems to grow. With over 1000 performers from both Scotland, the UK and around the world, this is a truly international show. In 2018 band from Mexico, USA, Switzerland and Oman were part of the cast, and each one brought a unique aspect to their performance while showcasing their local cultures. It’s absolutely incredible to witness so much global talent in one evening. With seating for nearly 9000 people around the front of the castle, the atmosphere is genuinely electric. The music, lighting and projections all add to the incredible vibe that emits from the performers, and the crowd are kept in good spirits from the narration. Even on the Royal Mile, the road leading to the castle, the electric atmosphere starts before the shown as thousands of people queue up for the event. 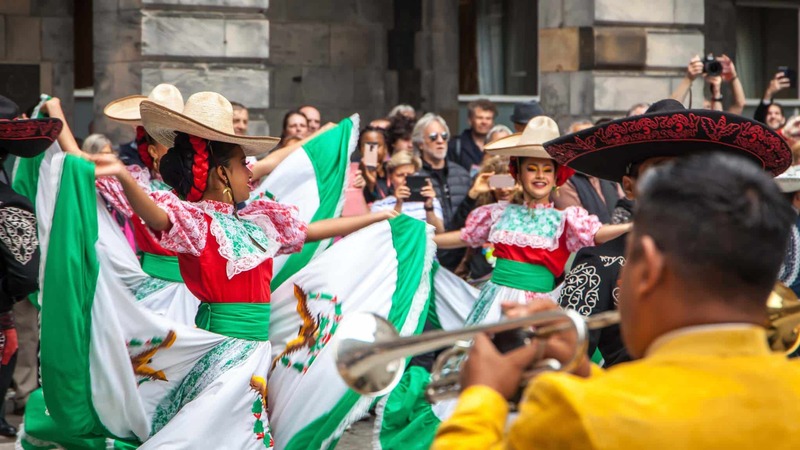 If you are unable to get a ticket to the show, you can still soak up some of the magic by watching performers arrive or leave from the royal mile or catching some of the shorter performances around the city to promote the show. 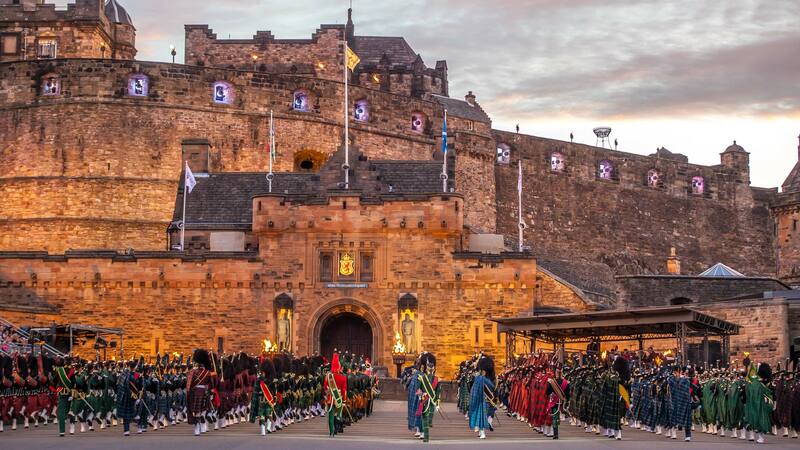 With so much going on in Edinburgh during August you are spoilt for choice when it comes to comedy, dance, theatre and other performing arts, but the Royal Edinburgh Military Tattoo is genuinely unique which makes it well worth visiting. 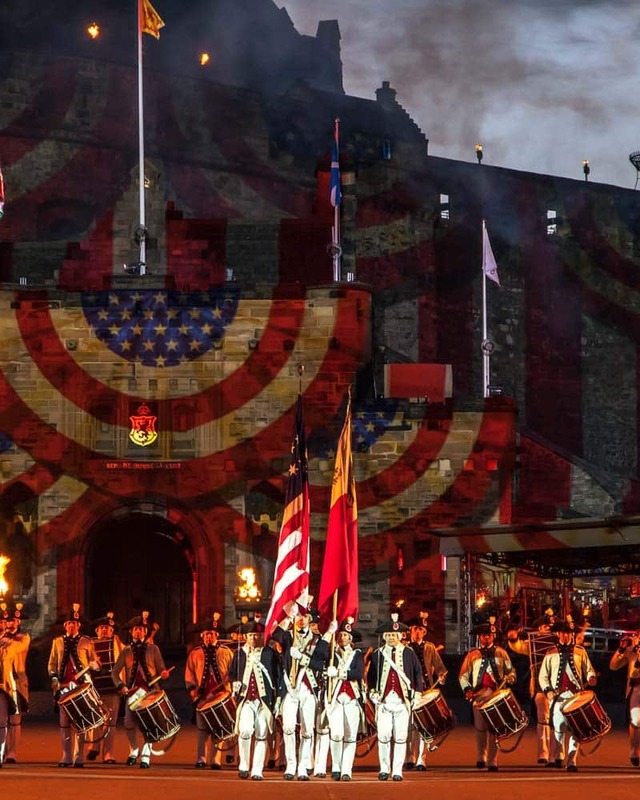 There are not many shows like this in the world, from the backdrop of the castle to the sheer scale of the cast and countries represented, if you want a unique and different night in Edinburgh during August then the Royal Military Tattoo is a ticker worth getting! 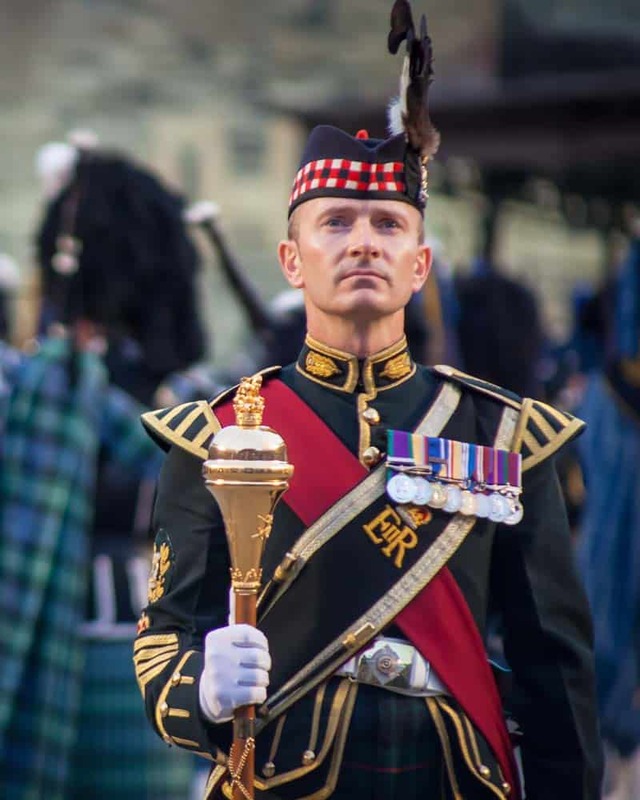 Being mainly military bands the attention to detail and perfection is mind-boggling, from the Basel Secret Drum Crops who played each other’s drums with fire coming from the sticks to the horses of Oman parading down the Royal Mile, the detail and precision are truly captivating. Needless to say, if you find yourself in Edinburgh during August, you are here at one of the most exciting times of the Festival Cities calendar. The Royal Edinburgh Military Tattoo only happens during August, although it sometimes tours other parts of the world on different dates. Don’t make the mistake of missing the show if your dates coincide. People will tell you that the Royal Edinburgh Military Tattoo is a big ticket item, and in relation to many of the other shows in August it is, but with tickets starting from around £25 for the 110 minute performance I personally think they are pretty good value in comparison to many huge shows and concerts in Europe. 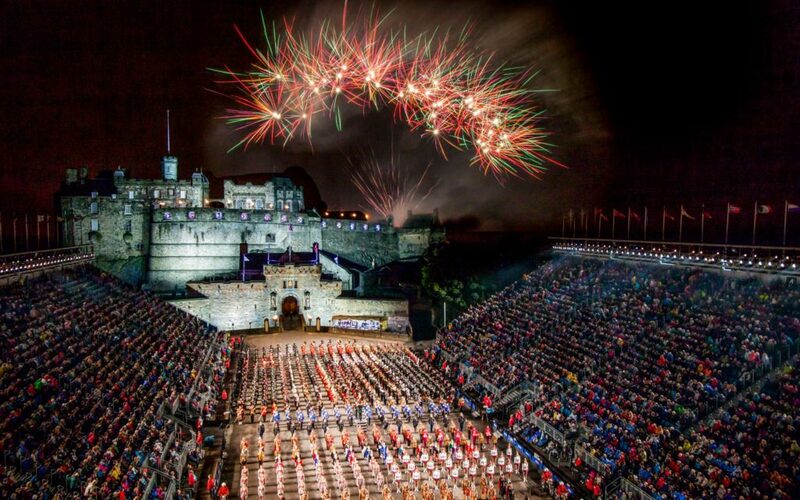 If you don’t want to shell out for the tickets be sure to hang around the Royal Mile at the end of the show to see the fireworks and cast departing the castle, it’s a really great taste or what’s on offer if you grab a seat. 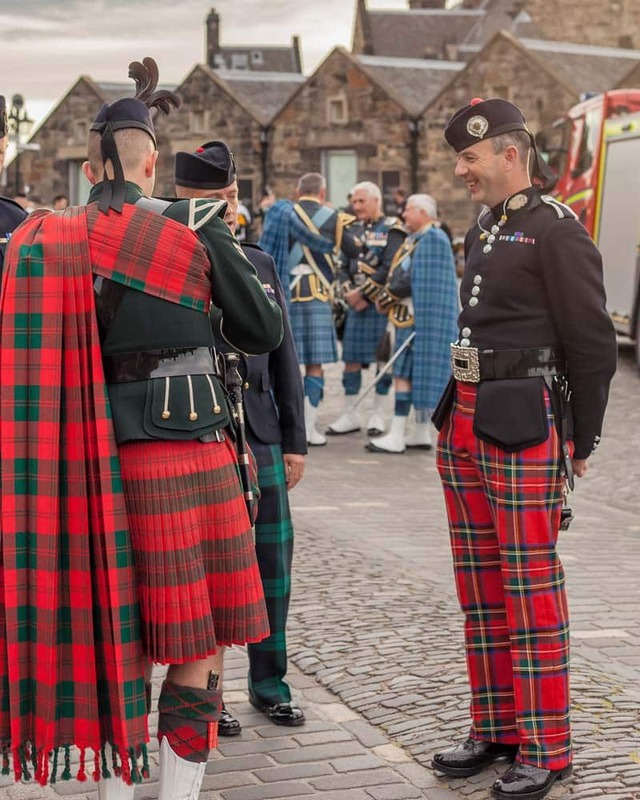 If you do find yourself in Edinburgh during August then be sure to book tickets for the Royal Military Tatto. 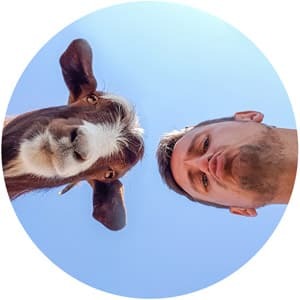 For the best value or best seats aim to book as early as possible, tickets usually go on sale in the last months of the year before the tattoo although it is entirely possible to plan a last minute visit to Edinburgh Festivals too. It looks absolutely spectacular! Definitely a must see!